TORONTO FILM. 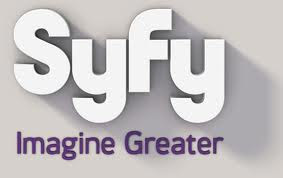 NET: Toronto Start For Syfy's "Alphas"
Toronto Start For Syfy's "Alphas"
Syfy reports it has given the sci-fi drama pilot "Alphas" (aka "Section 8"), written by Zak Penn and Michael Karnow, an 11-episode pick-up order, slated to start production in Toronto, early 2011 for a Syfy summer 2011 debut. The pilot was directed by Jack Bender ("Lost"). From production companies BermanBraun and UCP, "Alphas" stars actor David Strathairn who leads a team of 'ordinary citizens' that possess extraordinary and unusual mental skills. Penn and BermanBraun's Gail Berman, Lloyd Braun and Gene Stein are executive producing. "With each step in the development and production of 'Alphas', we knew we were onto something very exciting," said Syfy's Mark Stern.